I'm Young (scrappy) and Hungry! Get ready for the most Hollywood thing I’ve ever posted… I made it onto a year-end list! 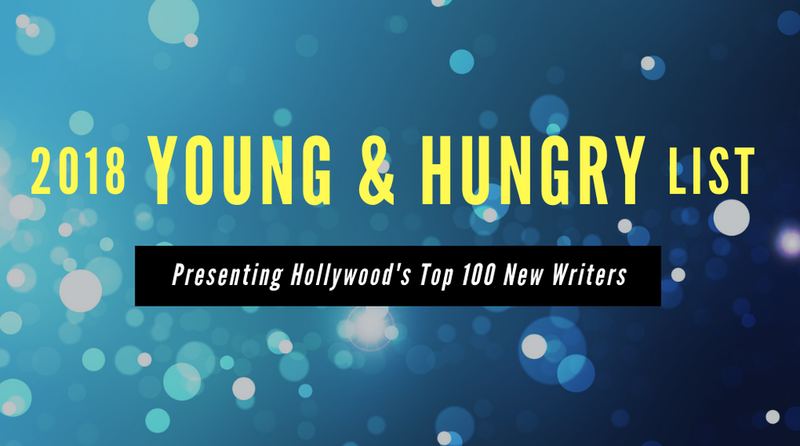 Erica’s screenplay SCATTERING JAKE has hit the town at full speed, becoming an Academy Nicholl Quarterfinalist, a Final Draft Big Break and PAGE Award Finalist, a WeScreenplay winner, and a Grand Prize Winner for Table Read My Screenplay. Her short film TOO SUNNY FOR SANTA screened at festivals across the country and garnered several awards. Erica and her writing partner Corinne Caputo were named notable writers at the New York Television Festival for their pilot script UNFINISHED, proving that she is definitely a writer to be reckoned with. That’s cool! (There are a lot of very cool other people on the list as well, so congrats to everyone!) And of course I have to give a huge thanks to my amazing manager at Tracy at MXN for also being so young and hungry and just generally awesome. While I know not to give too much credit to random accolades because it’s ALL ABOUT THE WORK (see my previous post about it being ALL ABOUT THE WORK NOTHING ELSE MATTERS IT’S ALL ABOUT THE WORK), it’s still cool to get a little shout out every now and then. Now, back to it! I wrapped up my 12-week Sundance Co//ab Screenwriting Intensive last week. It was fantastic. The class ended with a private one on one mentoring session with one of our class advisors. I’m really excited about how the experience helped push me with the outline for my biopic project, and I’m eager to dig into the actual script early in the new year. Corinne and I are also in deep on a rewrite of our (hopefully) very fun sci-fi comedy feature. Just gotta keep writing! There are a couple other cool things in the works that I can’t share quite yet. So, check back soon! Maybe I’ll do some sort of year in review post to close out 2018, but in case I get into lazy holiday mode (very excited to spend time with my parents’ new cat), let me just go ahead and wish you happy holidays and a very happy new year! 2018 was quite a ride. Let’s see what 2019 brings!